This work presents an experimental study of a solar adsorption refrigeration device using activated carbon AC-35 /methanol as working pair. The studied device is designed, realized and tested in the Development of Solar Equipment Unit, UDES, Tipaza (Algeria). The adsorption and desorption tests, carried out on the experimental device, were conducted inside the laboratory using a halogen lamp as an energy source instead the sun. The lamp is installed perpendicularly to the surface of the tubular adsorber to test four radiation levels: 800, 820, 1000 and 1020 W/m². A calculation code is developed, using the Dubinin-Astakhov mathematical model, to evaluate the thermodynamic coefficient of performance, COPth, of the experimental device. Thus, a parametric study is presented to examine the influence of the construction material and the weight of the adsorber on the COPth, the amount of cold produced in the evaporator, Qf, and the total heat supplied to the system, Qc. DJEBIRET, Mohamed-Ali et al. Experimental study of solar adsorption refrigeration device. 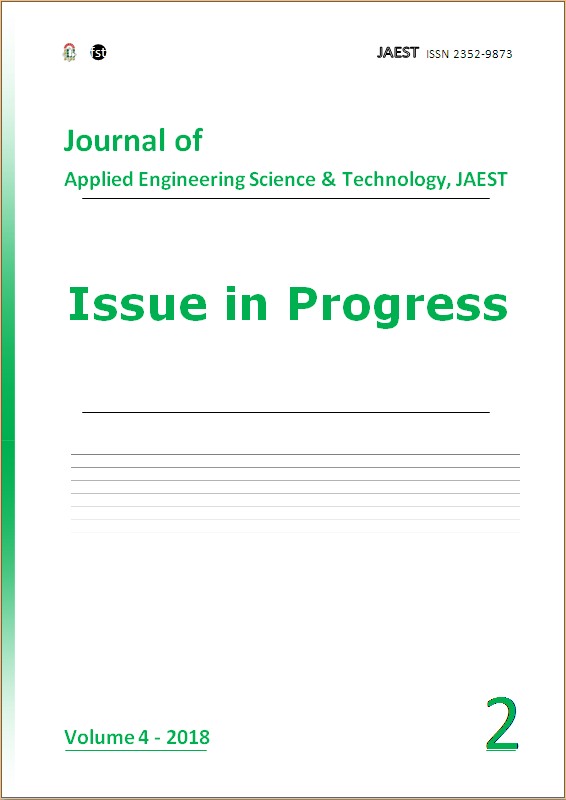 Journal of Applied Engineering Science & Technology, [S.l. ], v. 4, n. 2, p. 135-142, june 2018. ISSN 2571-9815. Available at: <http://revues.univ-biskra.dz/index.php/jaest/article/view/3888>. Date accessed: 22 apr. 2019.